Welcome to Home Dog Training Gloucester. 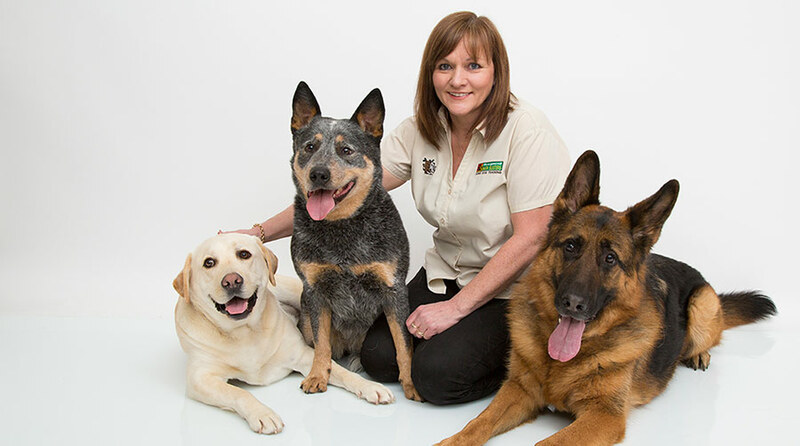 I am Gina Hinsley, your local Bark Busters behaviour therapist & trainer. 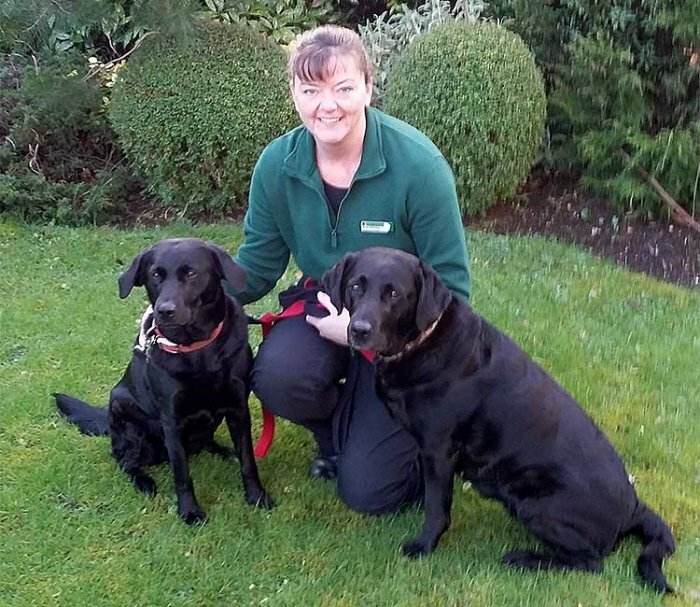 I am thrilled to have taken the opportunity to work with dogs and their owners as a Bark Buster Home Dog Training therapist in Gloucester. This is a new area for Bark Busters and I am really enthusiastic about bringing our successful Home Dog Training system to a part of the country I know well. Whatever behaviour problems people experience with their dogs, our simple, fast, effective and gentle training methods can be used to help. I will teach you how to observe the triggers for your dog’s behaviour issues. We will work together while you learn how to behave differently so that your dog starts to trust in your leadership, and your confidence, quickly learning that he can relax. I myself have owned challenging dogs, all of whom I have loved unconditionally, despite sometimes despairing at their bad behaviour. As you are reading this, you are probably wanting the best for your dogs but unsure how to achieve it. The vast array of advice available to dog owners makes it difficult to know where to turn. The Bark Buster method of dog training gives you a simple, tailor-made system that you can follow every day; one that will improve your communication with your dog, and create a happier, more harmonious life for the whole family. Communication and consistency are the key components of success. With my guidance, and from the very first session, you will be confidently using our system and seeing the results. I will visit you in your home where we will discuss the issues and plan a way forward. Together we will put the training into place. I will train you to train your dog and before I leave you on that first session, you will have had chance to practise and perfect your techniques. As someone with a background in the corporate world, I am very confident about my coaching skills and my ability to support people as they learn. It may be simply that your dog’s pulling on the lead is ruining your walks, or it could be something much more serious, like dog aggression or stranger aggression causing you anxiety every time you and your dog leave the house. Our training methods are non-physical…we don’t believe in physical punishment. We use our vocal communication system to help you to eliminate the unwanted behaviour. I would also be delighted to hear from you if you would like my help getting off to the right start with a new dog or a rescue dog that you know has some issues. I am also available to help with puppy training-our puppy training is gentle and fun and equips you with the knowledge and skills to have a happy, healthy puppy. Whatever your dog’s behaviour, age, type or size, please do give me a call and I will be delighted to help! You can also feel confident in the knowledge that our unique Support Guarantee means that I will return to you free of charge to help you though your training programme.